OPEN HOUSE SATURDAY DEC 3rd, 2-4pm~ BE IN FOR CHRISTMAS! This wonderful home has been beautifully updated and is move in ready! 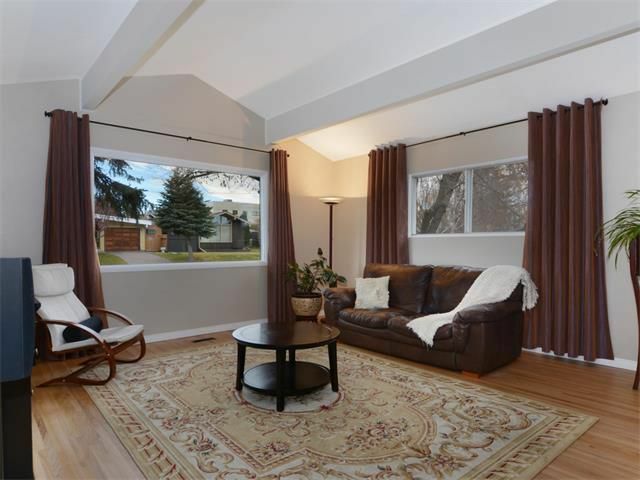 Solid built bungalow with 10' VAULTED flat painted ceilings in LR & formal Dining Room, newly re-finished oak HARDWOOD floors on main, 2016 shingles, all new windows except LR, freshly painted & a fully developed basement. The new kitchen features crisp WHITE CABINETS, QUARTZ counters, tiled back splash, SS appliance package & table nook. Main floor includes 3 good sized bedrooms & updated bathroom. The basement office easily converts to 4th bedroom with the addition of an egress window. Mid efficiency furnace, central vacuum, & 200 Amp electrical panel. Fully fenced yard with storage shed & RV Parking. OVER SIZED double garage would make a great shop with 10' high door & gas heater. Conveniently located on a quiet street just blocks from Starbucks, Schools, Transit, LRT, Shopping and 10 min to Downtown. Quick possession possible. Call today!